How to write a stonking About Us page - news, articles, blogs and more. The About page is one of the most important pages on your website, and often the most neglected. It can be hard to be objective about yourself, and your company, and so this precious page is often overlooked. 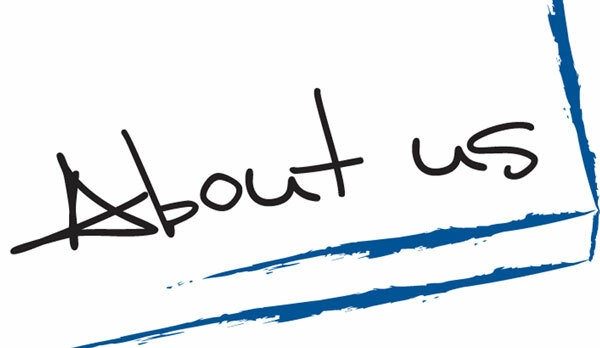 Visitors turn to the About Us page to get a feel for you, your business and understand where you’re coming from. Other pages on your website are typically marketing lead, trying to sell or provide information about the products or services you are offering. The About Us page is more of a reality check, to discover who you are. Injecting personality is key to the About Us page. Write as if you are talking to someone, drop the sales pitch and actually speak to your visitors. Quite often it’s the people behind the business that people buy into, not the products or services themselves. Make sure you come across as a real person and add humour, if required, and generally let your personality shine through. You want to tell the world that you and your business are awesome, so here’s your chance, the stage is yours! Don’t repeat what’s written on your homepage, this is about you and your business. Be modest, but don’t boast, use facts and don’t exaggerate. Who are your target audience? What are their wants and needs? – you want to tap into their emotions and motivate them to contact you. What is the future direction of your business? Make sure you tell visitors how you and your business can benefit them. What problems do you solve, how can you make their life easier? Describe how you are qualified to offer the products or services you provide. Mention key milestones in your company’s history – increase in number of employees, moved to bigger premises, acquired another company, increase in product range etc. A key mistake many people make when writing their About page is writing in the third person. The about page is very much about you, and you want to come across as sincere and genuine, so write in first person (I), or in first person plural (we). Credibility is important, so if you belong to a charity or regularly donate to humanitarian efforts, put it on your About page. If you’ve won any awards or have any celebrity endorsements then make sure you include them. This page gives you the opportunity to shine, so make the most of it. Everyone loves a good story, so if you have a good anecdote about how you started your business then share it with your readers. Facts are important but describing the background to your businesses will help people connect with you and see you as a real person. It’s also worth adding a photo of you ‘on the job’. Photos don’t just grab attention but also allow people to see the person behind the business. One of our clients is an artist and we included pictures of him with an easel and drawing material creating a new piece of art, as well as shots of him at exhibitions. Your About page doesn’t have to be too long, about 500 words should be more than sufficient. People tend to scan read a page of text, just to get the gist of what’s being said, so they won’t want to read reams and reams of text. Think about all the things your friends and family like about you – that’s what you need to get across when writing your About page. You want visitors to leave your site feeling confident, have trust in what you are saying, and most of all, want to come back again. Remember – be creative and have fun! If you don’t feel confident in writing your own About page get in touch and we’d be happy to lend a hand. Contact Plesilium Ltd: info@plesilium.co.uk / 01920 318202.